Welcome! I appreciate you stopping by. I’ll start with the name of this site. It can be confusing. My first name is Derek and my middle name is Earl. But Wandering Derek sounded pretty bad, and since I didn’t think anyone would read this blog, I went with Wandering Earl. Oh well. Wandering Earl it is! You can call me Derek or Earl or Dearl or anything you want, I don’t mind at all. On December 25th, 1999, I left the USA for a three-month, post-graduation trip to Southeast Asia. The idea was to backpack around Thailand, Cambodia and Vietnam and then return home and start a career in the sports industry (I wanted to be a Sports Agent). When I landed in Bangkok, I had $1500 USD to my name and that was it. So I booked a $1 per night dorm room bed inside of a crumbling old wooden guesthouse in the center of the city and let the adventure begin from there. The funny thing is, that adventure is still going on today. In the end, I never went home after those three months. And it’s now been over 18 years of nonstop travel. Go figure, I never would have imagined this would be my life! The adventure has now involved over 100+ countries on 6 continents as I’ve worked, lived, traveled and volunteered all over the planet. 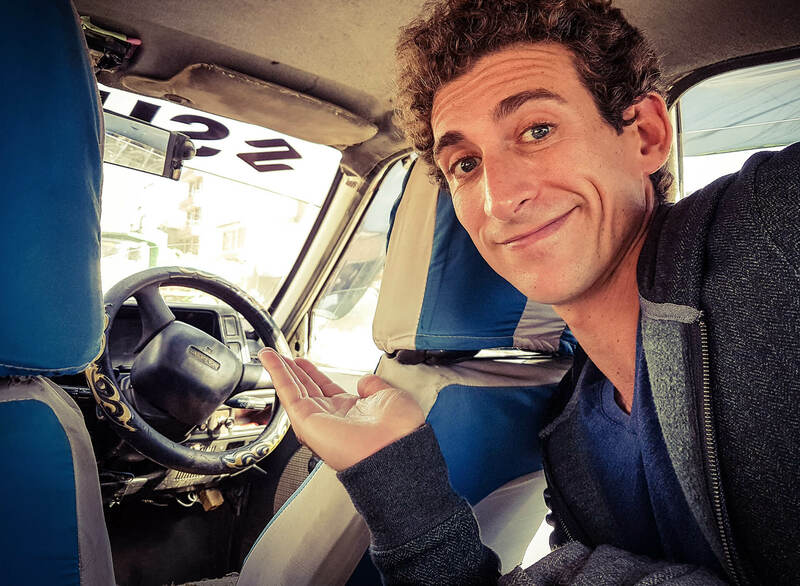 I’ve learned Spanish in Mexico, traveled to some of the more dangerous regions of the world (such as Afghanistan, Syria and Yemen, lived in Romania and worked as a Tour Manager on board cruise ships. I’ve been to India thirty times. I even acted in a Bollywood television show once. As a beach addict, I’ve traveled to the Seychelles, Maldives, Philippines, Caribbean and every nice beach I could find in between. 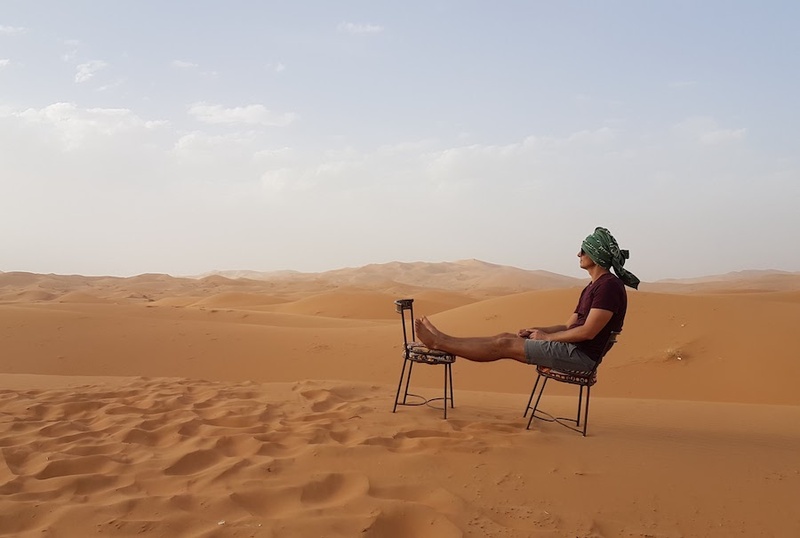 I traveled to Western Sahara recently because I simply had no other plans. While in Bangladesh, I was kidnapped by inexperienced kidnappers for three days. In the old days, I taught English in Thailand. I’ve now been to every country in Europe except Poland and Belarus. Today, I work online while traveling, running my blog and an awesome small-group tour company that I started back in 2012, Wandering Earl Tours. It’s been an absolutely wild ride to say the least. It was exactly one week into that trip back in 1999, as I celebrated the Millennium at Angkor Wat in Cambodia, when I became addicted to world travel. So addicted in fact, that the idea of returning home was suddenly not an option at all. I wanted to soak in more of the world, learn as much as possible and meet as many new people as I could. Therefore, I canceled my plans to return home and decided to become a permanent traveler. Great plan, right? Well, the main problem was that I barely had any money. And that was a big problem. Taking this challenge head on, I used a combination of hard work, determination and a refusal to accept anything less than the achievement of my goal to start figuring things out. I talked to everyone I met (there wasn’t much internet back then!) and tried to learn how others were traveling long-term and funding those travels. Over time, I somehow managed, piece by piece, to create the nomadic life I envisioned. I found work, saved some money, found more work, traveled at the same time, worked on cruise ships, saved more money, started working online, kept traveling and on and on (more details can be found in my post How I Can Afford My Life of Travel). The key was that I always kept my eyes open for the next opportunity that could help me move forward. But at the same time, it can be done. It really can. Today, I’m still constantly traveling the world. I take approximately 60 flights per year, I don’t even have a home base and I live out of my suitcase. The thing is, though, I’ve never traveled to simply check countries off a list. If that was the case, I would have stopped a long time ago! Instead, I prefer to focus on the human interactions and the life lessons learned along the way. Those incredible aspects of travel are what keeps me going after 18+ years. What Will You Find at Wandering Earl? The purpose of this website is simple. I want to use my own experiences to prove that long-term travel does not have to be a crazy fantasy. It can, and should be, a realistic lifestyle option instead. That’s the reason why I started this blog back in 2009 and it remains the core mission today. Through my own adventures – from the incredible moments and rewarding interactions to the struggles and major challenges – I aim to provide a realistic and honest account of what long-term travel is truly about and how you can work on achieving such a goal yourself. 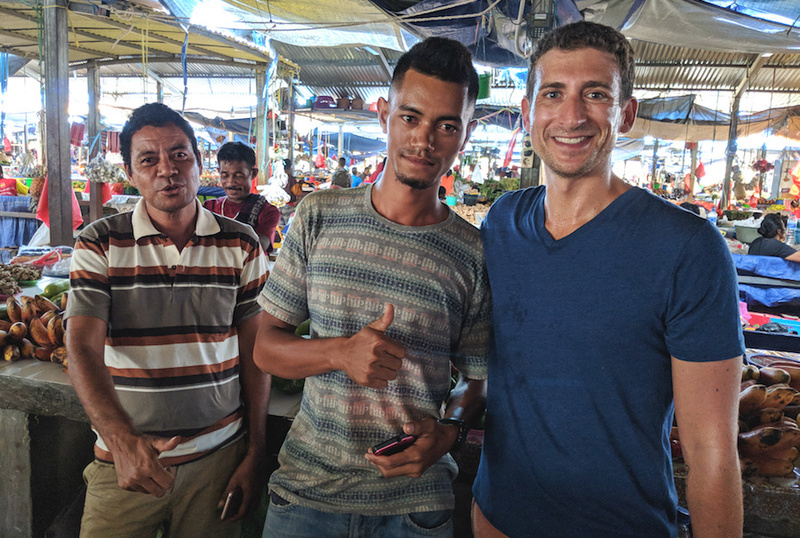 And if long-term travel isn’t what you’re looking for, I’m confident that my experiences can help you with whatever kind of travel you’re looking to do. If you love travel in general, you’re in the right place…and I want to assist as best I can! While the recognitions this website has received over the years are certainly nice, nothing compares to an email from a reader telling me that the blog has helped them in some way or another. That is why I continue to blog. So, if you ever have any questions or comments or you simply want to say hello, just send me a message. I’ll always reply and I shall look forward to communicating with you!